A fly out that dies just in front of the wall. Because the only thing in the history of baseball to fare worse on the warning track than a Jason Heyward fly ball is an Italian Sausage running in front of Randall Simon. He ran out of room. It was not just one of the best moments of the year, it was one of the feel good Cubs moments of the decade. 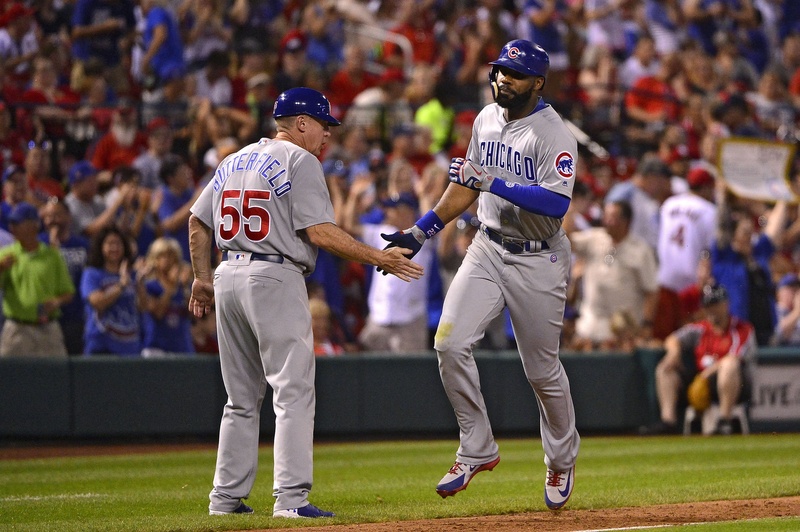 Wrigley Field was so loud, you couldn’t even hear “Go Cubs Go.” Because for one night, Jason Heyward produced the kind of joyous noise that somehow would have felt lessened if you could use it to form syllables. 2018 was something of a redemption year for Heyward at the plate. Note that I described it with the words “something of a redemption” and not “great” or even “particularly good.” But with a .267 TAv and a 99 wRC+, Heyward was decidedly… acceptable. It was the Sam’s Choice Dr. Thunder of offensive seasons. And after Heyward’s 2016 and 2017, Dr. Thunder tasted like Dom Pérignon. 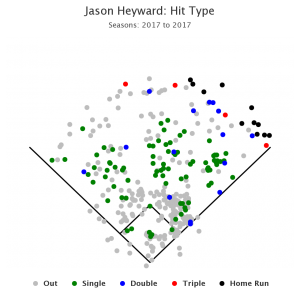 Statistically speaking, Heyward’s 2018 turned out to be only a moderate step up from his 2017. He gained in just about every offensive category but the sum total of his improvements amounted to this: 11 points of batting average, nine of on base, and six of slugging. Yet it felt like such a better season because there were multiple stretches throughout the year when Heyward was a legitimate offensive weapon. 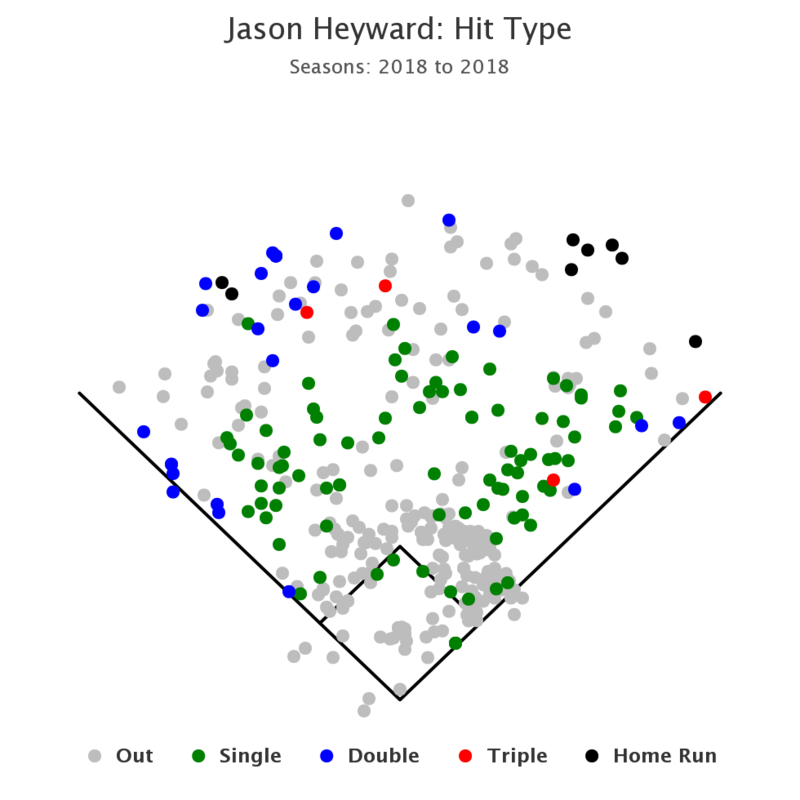 Most memorable of them all was the 28 game sequence from May 29 to June 30 where he put up a “who are you and what have you done with Jason Heyward” line of .359/.395/.530. Much was made in 2016 of Heyward paying for David Ross to stay in hotel suites on every road trip. In June of this year, he decided to top himself by subletting his body to the spirit of Roberto Clemente. 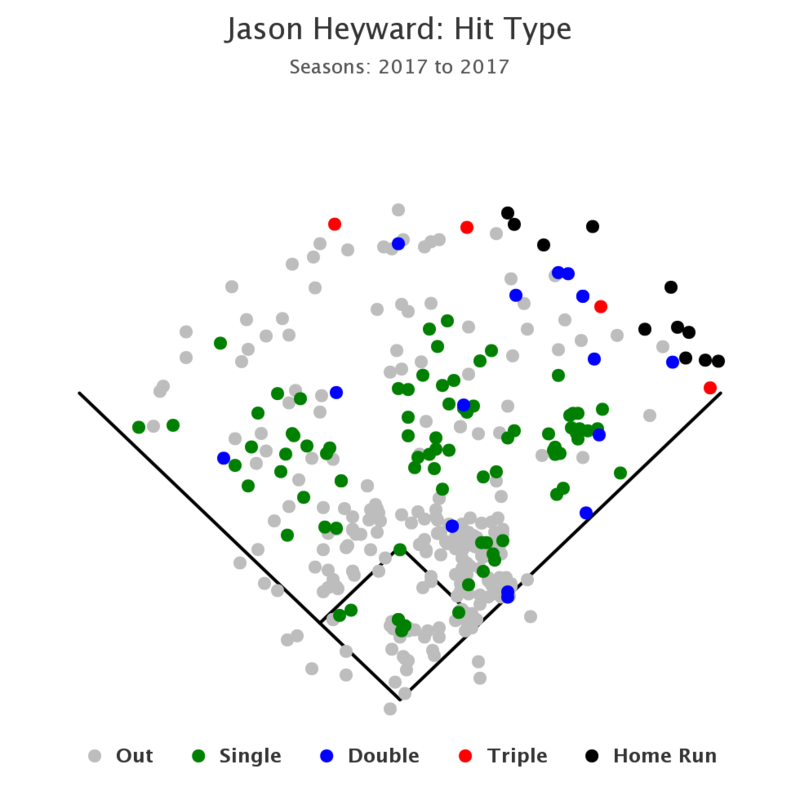 And even though he wouldn’t come close to matching that for the rest of the season, there were still enough moments of offensive competence scattered throughout the latter half to make it feel like 2016 Heyward was gone for good. A 9-for-21 spurt in mid-July. A 7-for-20 in mid-August. And a 4-for-4 game against the Reds four days before a hamstring strain would cost him half of September. Jason Heyward is most famous for a locker room TED Talk that motivated his teammates to greater heights than they ever could have imagined. 2018 was the year he finally started listening to himself. 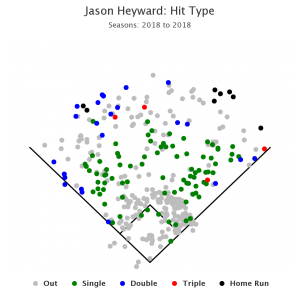 Looking Ahead: And if Heyward’s 2018 was a TED Talk entitled “Chili Davis was my hitting coach and my OPS actually went up? !” this is the part where he would bring in the visual aids. Because how does Heyward keep his hitting stats going in the right direction going into next year and beyond? Simply put, Jason Heyward’s plate approach needs to lean so much to the left that it gets booked for a nightly segment on The Rachel Maddow Show. Posters of his spray chart should only be sold at stores owned by Ned Flanders. His walk up music should be “Pass the Dutchie on the Left Hand Side” (aka: “What an odd tribute to Harry’s widow…”). Spray charts courtesy of Fangraphs.